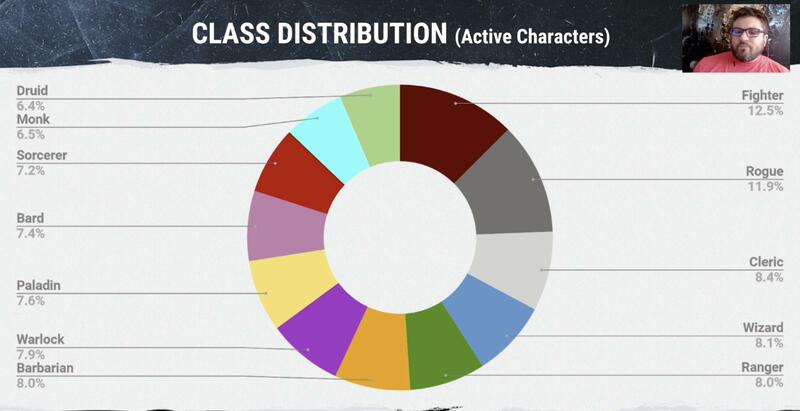 More stats have been unveiled from D&D Beyond, revealing that Fighters and Life Clerics are the most popular classes. The licensed Dungeons & Dragons database has announced more stats from their character creation tools, following the statistic on character levels. The new charts focus on class and race, and reveal — perhaps unsurprisingly — that the “standard” classes are the most common. It must be noted, by the way, that as you can see in the screenshots below (per EN World), these are for Active Characters only. D&D Beyond corrected the numbers to weed out test PCs and the like. Among the races, humans easily dominate the proceedings. Standard Humans make up 11.8% of characters, with Variant Humans (those that forego +1 in all stats for +1 in two stats and a feat) making up 11% even. Half-Elves — which are partially human themselves — are in third place with 9.1%, followed by Tieflings (7.5%) and Dragonborn (7.2%). This isn’t too shocking, as these are the most customizable races, and I’ve learned anything in my thirty-six years of playing, it’s that players love being able to customize. 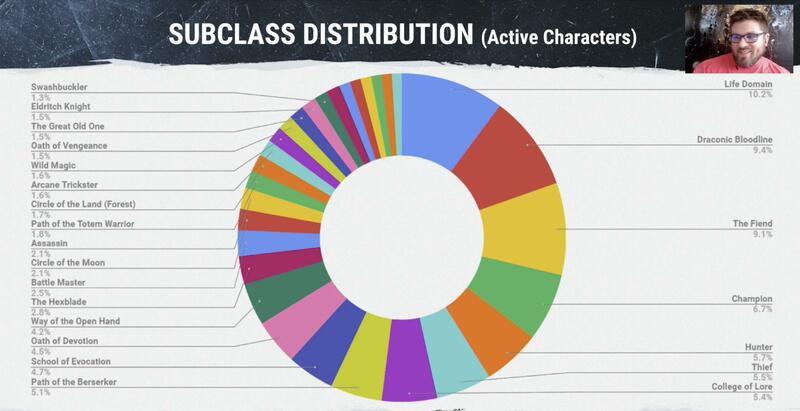 The base classes see Fighters atop the list with 12.5%, followed by the three other “classic” clsses: Rogues (11.9%), Cleric (8.4%) and Wizards (8.4%). Of interesting note is the fact that the Ranger — largely considered to be a severely underpowered class in 5E — is in fifth place with an even 8% alongside Barbarians. Last place among the base classes are Druids at 6.4%. 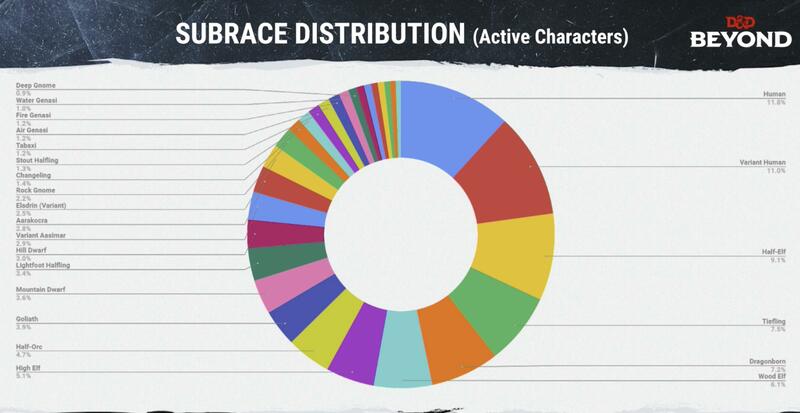 Finally, the stats show off the subclass or archetype distribution, and to the surprise of no one who has played 5E, Life Clerics reign supreme. The domain comes in at 10.2%, followed by Draconic Bloodline Sorcerers (9.4%), Fiend Warlocks (9.1%), Champion Fighters (6.7%) and Hunter Rangers (5.7%). Life Clerics are unparalleled when it comes to healing, which likely is a big reason behind their prominence.